Adding more fish to your diet is always a smart decision. That is, until it gets breaded, battered, deep-fried or loaded with commercial sauces. Now, don’t get me wrong, I love a good fry-up… occasionally. But to really take advantage of those nutritional benefits that contribute to our health and happiness, fish needs to be cooked lightly, without heavy adornment. And that’s where a lot of us hit a stumbling block. When we don’t know different cooking techniques, we tend to fall back on our old standbys for quick and easy meals. 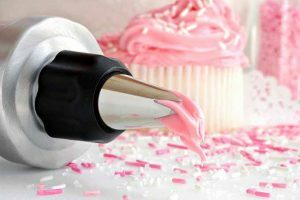 This can mean adding batters, frying in oil, and so on – all of which may taste good, but that aren’t necessarily good for us. And yes, even deep frying (when done properly) can provide light results. Let’s begin. Baking is a dry heat method of cooking that works well with either fillets or steaks. The trick to successfully baking juicy seafood is to watch the time carefully. Baked fish always works well on its own, but gussying it up a bit is nice as well. You can add a dressing of finely minced herbs and thin slices of lemon or lime atop pretty much any freshwater or seafood selection. Or, lightly brush with a thin sauce first. Lemon and garlic butter is an easy choice, and so is making a simple sauce with mustard, a drop of olive oil, and some herbs. It’s important to go light with the sauce to retain the fish’s nutritional value. You want to enhance the flavor, not drown it. To bake, lightly coat a baking sheet, shallow casserole dish, or a roasting pan with cooking spray, and preheat the oven to 350°F. For fillets, place in the dish skin side down – with baking there’s no need to flip either fillets or steaks. Brush with your sauce, or dress with herbs and sliced citrus. Bake for 7-10 minutes per inch of thickness, or just until the flesh separates easily with a fork at the thickest part. 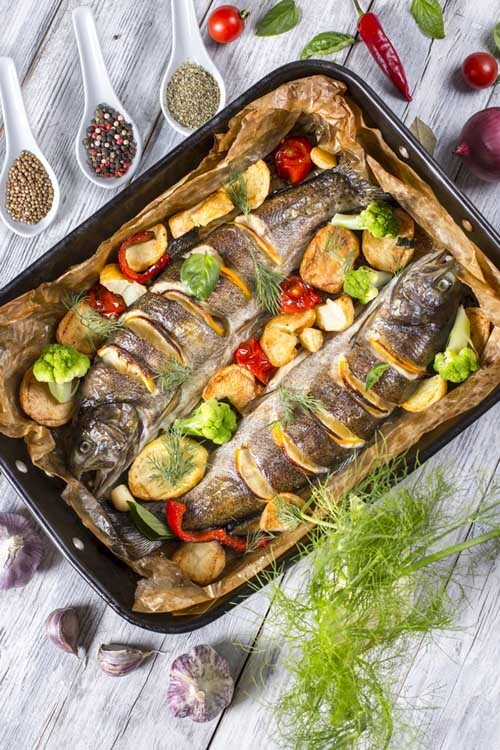 Oily fish are very well suited for baking, whereas the leaner varieties will dry out quickly. And so will thin fillets. 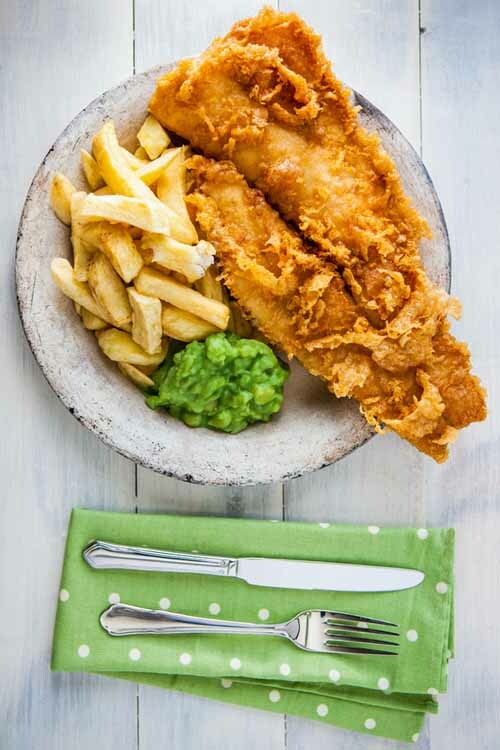 If you do use a fish that’s lighter in natural oils – such as haddock or cod – check for doneness a few minutes earlier than you would for something like salmon, and remove from the oven as soon as the flesh is firm. Poaching is a moist heat method of cooking, and it works well with selections that have a more robust, firm flesh such as halibut and salmon. They can be cooked gently in a variety of heated liquids such as water, apple juice, wine, stock, miso broth or milk. 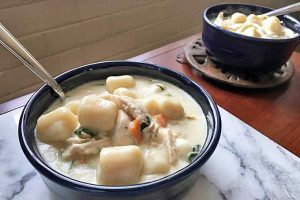 And the flavor of poached fish can be enhanced with a variety of seasonings like fresh herbs, spices, leeks, onions, carrots, celery or tomatoes. Shellfish such as clams, mussels, scallops, prawns, and oysters are also delicious poached in a seasoned broth. Check out our recipe for a tasty bouillabaisse that utilizes poaching to prepare a variety of seafood and veggies. 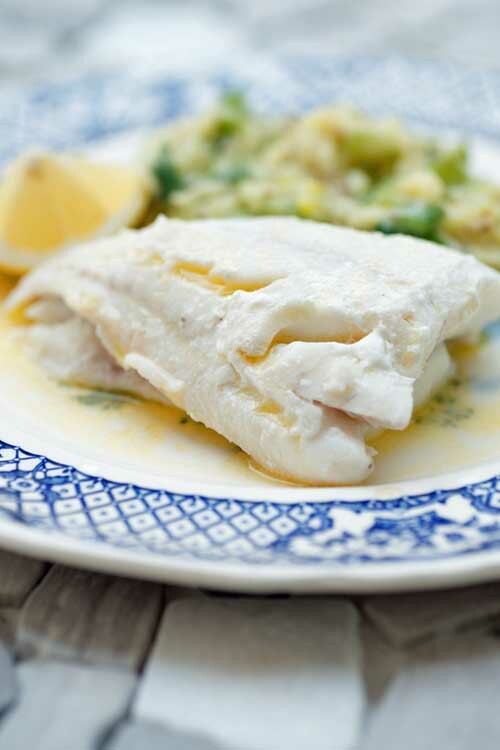 To poach fish, place in a deep skillet or wide saucepan and add just enough liquid to barely reach the top of the fillets, then season generously. 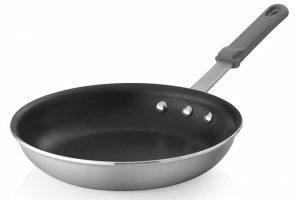 For some pointers on how to choose the very best pans for poaching or frying your fish, check out our review and guide on frying pans and skillets. Over medium heat, bring to a simmer and cook fillets for 8-10 minutes (up to 20 minutes for whole fish), or until the thickest part is opaque and firm. Remove with a flat, slotted spatula and arrange on a serving dish. Then reduce the liquid to make a light sauce, if desired. 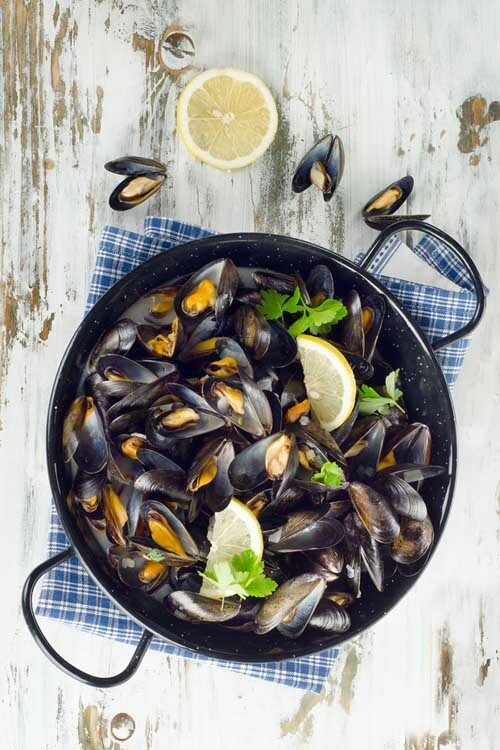 To poach shellfish, arrange cleaned shells in the bottom of a wide pan and add an inch or so of water, wine, or broth. Season with garlic, bay leaves, parsley, fresh pepper, and lemon wedges, and bring to a simmer. Simmer shells until they open, 3-10 minutes depending on their size. Remove with a slotted spoon, and serve with the broth for dipping, along with a crusty bread. If you’d like more ideas for shellfish, check out our previous posts on cooking clams, mussels and oysters, and our guide on preparing lobster. Cooking fish in a packet, a.k.a. en papillote, delivers lovely, intense flavors and moist results along with mouth-watering fragrances. And it’s a quick way to whip up dinner on those busy weeknights. As a bonus, clean-up is a breeze: just toss the paper when you’re done. 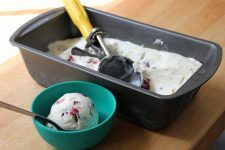 This classic method is very simple and requires only parchment paper or foil, and your favorite ingredients for flavoring. The packets are comprised of fillets or slabs of fish that are wrapped up with seasonings and perhaps a splash of liquid, then baked in a hot oven. As it bakes, the seafood in the packet will quickly (but gently) steam in its own juices with the seasonings – causing the flavors to blend and intensify. Fillets work better than steaks for en papillote style cooking, because the flesh around the bone of a steak will take longer to cook than the thinner tips. And smaller packets work better than large ones. 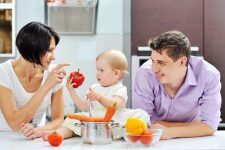 If you’re cooking for a family, make two or three packets rather than trying to get everything into one. Cook fillets on their own with some seasonings, or add veggies to the packet for a complete meal. 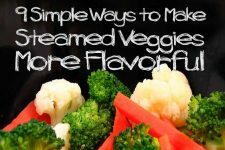 If you do add vegetables, cut them all to a uniform size for even cooking time. 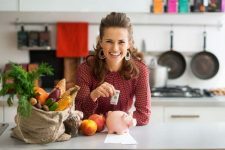 Harder veggies such as carrots, potatoes or onions should be very thinly sliced or finely julienned, to ensure that all ingredients are ready at the same time – a mandoline or a spiralizer works well for papillote veggies. For flavoring, add your favorite fresh or dried herbs, spices, salt and pepper to suit. Tear a piece of paper large enough to fit all of your ingredients on one half, ensuring there’s enough of an edge allowance to fold over two or three times to tightly seal. Fold the paper in half, then open it up and lay your fish close to the fold. Add seasonings and any other ingredients, then lay the free side over top of the mounded food. Trim the corners of the open edges to remove some bulk if necessary. Then, holding the edges together, fold over 1/2 inch two or three times. Crimp and press the edges tightly so that no steam escapes while cooking. When finished, the packet shape will be that of a half moon. 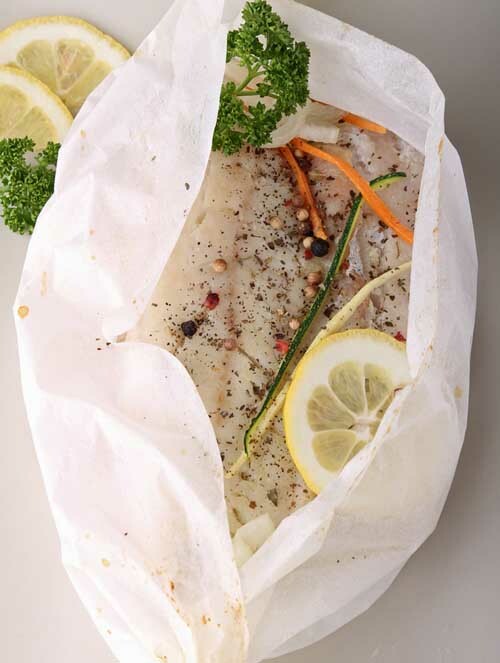 Place your papillotes on a baking sheet, and cook in a hot oven at 450°F for 8-10 minutes per inch of thickness. Serve directly to the table, as you won’t want to miss out on the cloud of fragrant steam that’s released when these are opened (but use caution – that steam is hot!). Broiling is a dry and high heat method that works best on thick cuts and fish steaks, as the thin edges of fillets will tend to dry out before the meaty part is ready. When broiling, steaks will also benefit from some external moisture, either brushed on or basted. Season and brush with some olive oil, or make a thin, light sauce and baste before putting under the heat, and after turning. 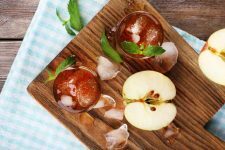 Create a sauce using your favorite finely minced herbs, spices, and some liquid such as the juice and zest from a lemon or lime, apple juice, or wine. Add a small amount of olive oil or tartar sauce to thicken slightly, and shake well to emulsify before applying. Place the steaks or thick fillets on a broiler rack and broil 4 inches below the heat source for 5–8 minutes per side, or until firm and opaque at the thickest part. Allow an additional 1-2 minutes of cooking time for steaks thicker than an inch. For pieces less than 1 inch thick: broil closer to the heat, reduce the time, and don’t turn them over. Whether you cook indoors or out, grilling is a superb way to quickly cook fish, retaining their tender, juicy textures and natural flavors. A marinade is also beneficial for healthy results, and to add extra moisture and flavor. 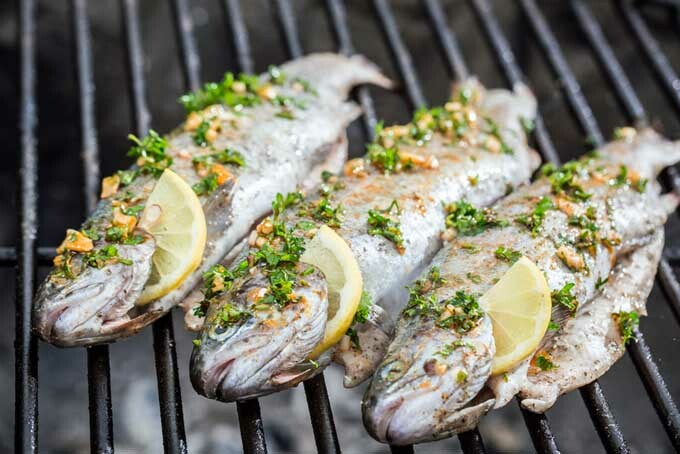 As with broiling, thicker pieces such as whole fish, robust fillets, and steaks are more appropriate for grilling than thin pieces. 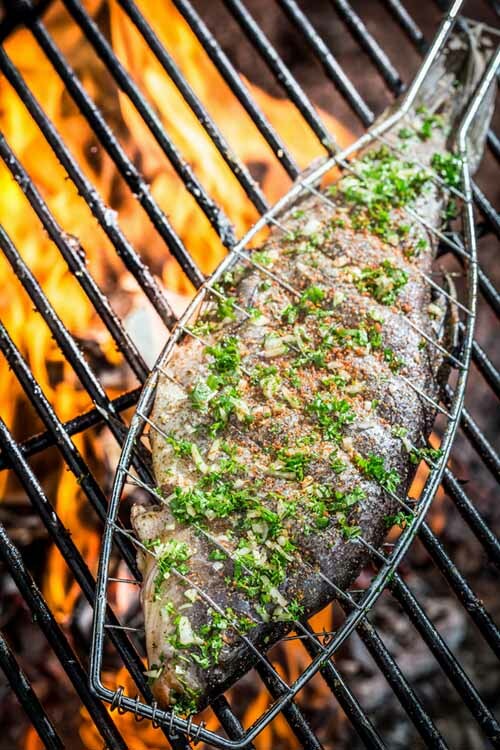 Thin fillets can still be grilled successfully, but you many want to invest in a grilling basket to prevent them from falling apart when they’re moved – a basket can also be helpful when grilling larger pieces for the same reason. A metal pizza peel is another handy tool to use when removing large fillets or whole fish from the grill. 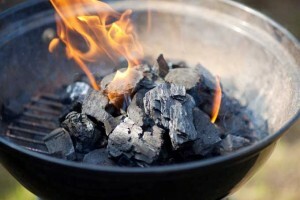 To prevent sticking, lightly spray the grate or grill pan with cooking oil before heating. 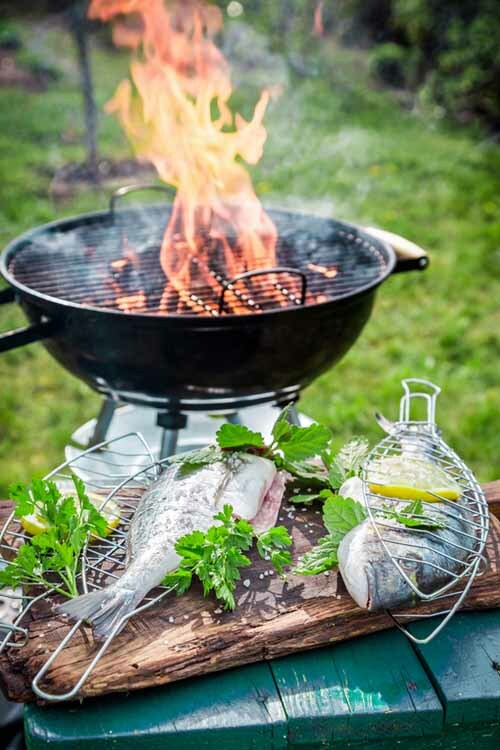 Season your fish with your favorite herb and spice blends, then brush with some olive oil to further prevent sticking. When cooking fish, I find it helpful to pre-heat the grill on high, then reduce the temperature to medium. This way, with the grate or grill pan nice and hot, the fish gets a quick sear but cooks at a lower temperature. For fillets, grill over medium heat at 325-350°F for 5 minutes per 1/2 inch of thickness, or until the thickest part is just about to flake. For steaks, cook at the same temperature for 5-7 minutes per side. With fillets or slabs, start with the non-skin side down and cook for only a minute or so, then turn and leave your fillet skin side down for the remaining cooking time. This way, the fillets will have some nice char marks and the top won’t take as long to cook. Keep in mind that this maneuver can only be done at the beginning when the flesh is still firm – try it when the fish is partially cooked, and you’ll have flaky bits of fish all over the place. For whole fish, pat dry first, then season and oil the skin. Season the cavity with salt and pepper, some whole herbs such as rosemary or tarragon, and some sliced lemon or lime. 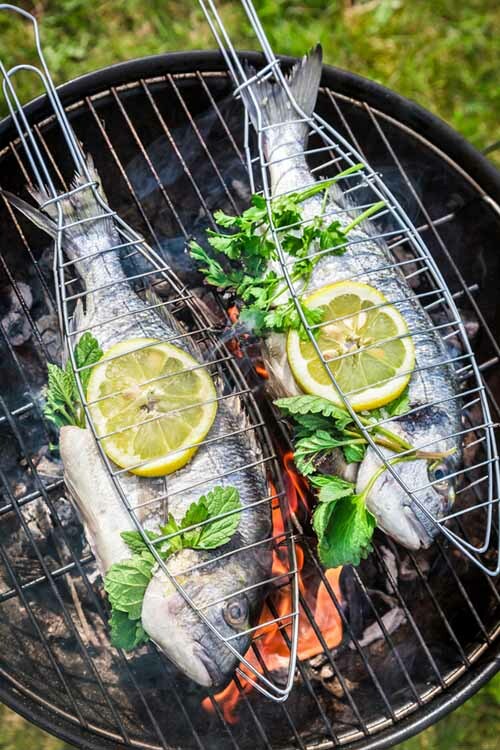 With a whole fish it’s important to have plenty of room on the grill – you mustn’t move it while cooking, and will need enough space to roll it over when it’s time to cook the other side. Don’t try to lift and flip – instead, slide a large spatula or metal pizza peel underneath just to the spine. Leaving the spine on the grate, lift the front and tip it over to the other side. Then leave it in place until it’s done. Cook whole fish 10 minutes per inch of thickness on medium heat, 325-350°F. Pan frying works well for most fillets as well as scallops and shrimp, and results in tender pieces with a crispy, light crust. And firm-fleshed fish – such as halibut or cod – can be cut into chunks and quickly seared over high heat in a stir fry. First, season fillets as desired. Then place a heavy skillet (I prefer a cast iron or a carbon steel frying pan for this type of job) over medium-high heat and add a teaspoon or two of olive oil, depending on the number of fillets you’re cooking. For more ideas on what types of pans to use for excellent seafood, check out our full-on guide to choosing the best skillets for any purpose! Add your fillets and cook for only about 4-5 minutes per inch of thickness, turning only once. Shake the pan to keep fillets from sticking, and try to handle as little as possible – too much action and they’ll break apart in the pan. Garnish with sprigs of fresh parsley or rosemary and slices of lemon. To pan fry whole rainbow trout, pat the fish down to remove excess moisture, and season with salt and pepper. 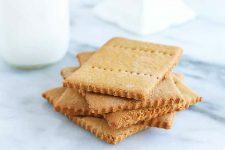 Or, dredge them in a shallow bowl with salt, pepper and flour or cornmeal (or a mixture of both), then fry as above, turning only once – and don’t overcook! For scallops and shrimp (like in this shrimp fajitas recipe), use the same method as above, cooking just until the center of scallops are opaque and firm, and prawns have turned completely pink and opaque. If you have a deep fryer, follow the manufacturer’s instructions. 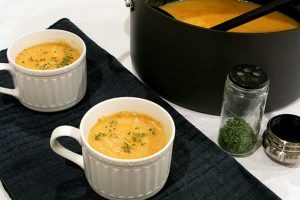 And if you don’t, then consider purchasing one or you can use a pot with deep walls and a heavy bottom, like a unlined cast iron Dutch oven or an old-fashioned cast iron pressure cooker (without the lid). 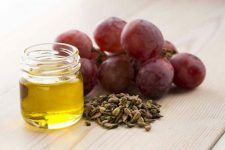 Add a neutral-tasting oil like canola or peanut to two-thirds full – no more than that. 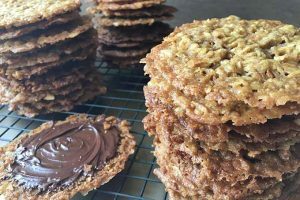 With deep frying the correct temperature is very important, so you’ll really want a deep-frying or candy thermometer to be accurate. The ideal range is 350-375°F. Below that, your food will be soggy and greasy; above that, your food will burn. Before heating the oil, which should be done slowly, have your favorite batter ready for dipping the fish into. And ensure that your fish pieces have been patted dry with a paper towel, as any excess moisture will cause the hot oil to splatter – and these burns are painful! When the oil’s ready, dip the fish in the batter and then lower it quickly (but carefully and gently) into the fryer. Start with only two pieces, and cook for about 2 minutes per 1/2 inch thickness, then gently roll to the other side. After rolling, add another two pieces, cooking for 2 minutes and then rolling. 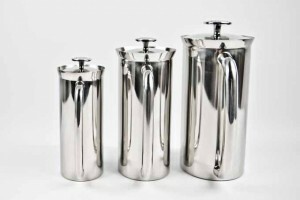 Adding too many pieces at once will cause the oil temperature to drop, resulting in soggy, oily pieces. Waiting a couple of minutes before adding more will allow the temperature to recover, resulting in crisp, light fish. 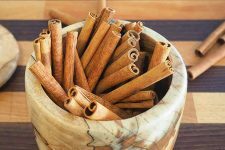 Once both sides are golden brown, remove with a spider strainer and drain on paper towels or a rack, patting the tops dry. Deep frying is quick, so mind your time and keep an eye on what’s happening in the pot. 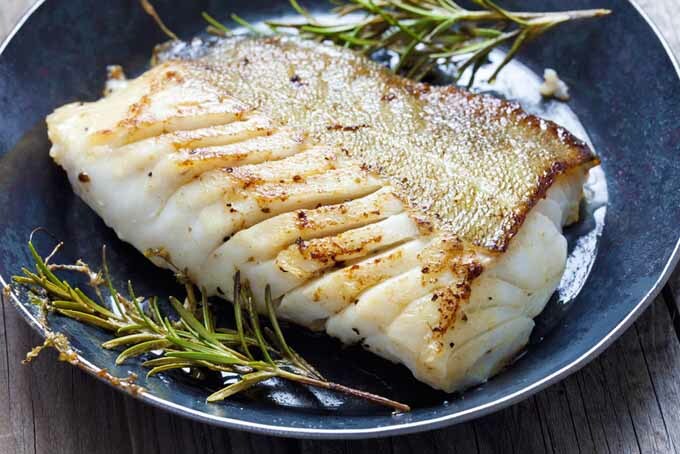 Remember to resist the temptation to overcook fish – its delicate texture will dry out quickly, and the flavor and nutrition is best when it’s still moist with natural juices. 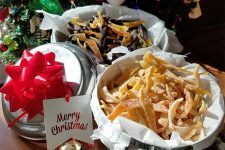 These tips will especially come in handy for those occasions when you want to showcase seafood, such as for a Christmas Eve Feast of the Seven Fishes dinner! 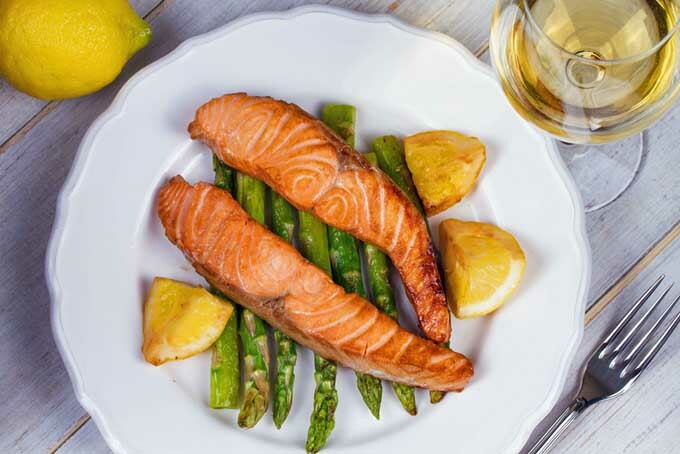 And if you’re looking for more great tasting seafood ideas, check out our Fish and Seafood section in the Recipes tab at the top of the page, or just type “fish” in the search box – you won’t be disappointed! My dad loves fish, though he doesn’t eat it nearly as much as I think he should. His favorite ways of cooking them are grilling and poaching. As you said, poaching is a great way to keep in a lot of the moisture while grilling keeps in the natural flavoring and adds some of that nice barbecue flavor. Only problem with grilling is that he always tends to mutilate them on the grill since they stick so much. We’ve started using aluminum foil to help prevent that, but it doesn’t taste the same. The basket seems like a great idea, though. I’ll have to look into that when it finally gets warm enough to grill. You’re right Tsuzuko, foil on the grill does change the flavor, and unfortunately, not for the better… and grilling fish does require a bit of attention so as not to ‘mutilate’ them! A basket’s an easy solution, and there’s lots of nice ones available at reasonable prices – maybe a good Father’s Day gift for your Dad?! Baking and grilling are my favorite methods of preparing fish: especially salmon. I love to use lemon and herbs. I really like how the lemon wedges were stuffed into the fish in picture at the top. I’m sure that’s an effective way of injecting flavor. Great suggestions! Thank you. Salmon, lemon, and herbs are a wonderful combination mbrougham11, and so easy to do on the grill! Glad you liked the post. 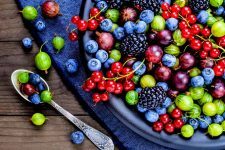 You definitely sensitized ,y tastebuds just by reading this article. I’m usually just a fry fish type of person because it’s easy of coarse but I’m definitely looking forward to trying all these with my fish. Glad you found some ideas Zhen25, I hope some of them will satisfy those taste buds! Poaching hasn’t been a method that I’ve used before, and I don’t know why, because it sounds so easy and delicious. I love broiling fish (salmon is my favorite) and grilled fish is good too, but I’ll have to include poaching as a way to cook fish too. 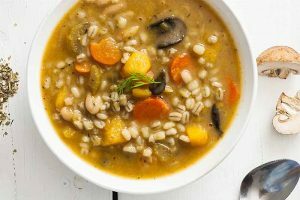 Poaching’s a nice method for winter months atlmom5, and you can infuse the liquid with as much, or as little, flavor as you like. And as with grilling and broiling, it’s quick and easy too! I’m a big fan. I like many varieties, but I have to admit, I do enjoy the rich sauces and stuff. I’ll have to be a bit more careful with my preparation techniques and my embellishments in the future. I really need one of those baskets for the grill. That looks great! So much simpler than other methods. I plan to do a lot of grilling this summer. One of the great aspects of fish is that they don’t need those rich sauces, and I think we tend to add those more out of habit than anything else… and do pick up a basket if you’ll be grilling a lot fish Zyni, they make the process so much easier! This is a wonderful guide. I’d like to cook more fish at home but for some reason the process has always seemed a bit intimidating. 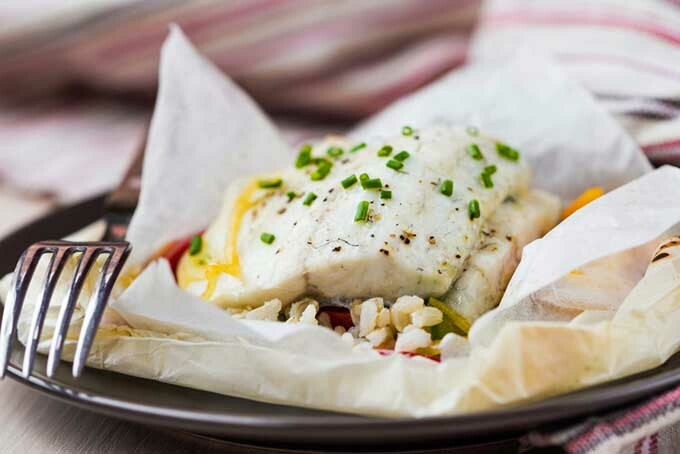 The papillote method sounds delicious and so simple! Easy to make for two people as well, which is always important for me in a recipe. Glad you enjoyed the guide cck, most things are a bit intimidating if we’re unfamiliar with the process, it just takes a bit of practice to build up that confidence… And en papillote is an ideal method for dinner for two. Hope you like the results! I’ve always loved eating fish but never learned how to cook it other way than just put it in an oven or grilled it in summer. Deep fried fish indeed sounds good but hard to make, so even when I’d love to try that out I’m not sure do I have the courage, haha! Oil is annoying to work with and deep frying can end up being bad if you’re not careful enough. Probably I just have to stick with fried fish that you can get from the store! 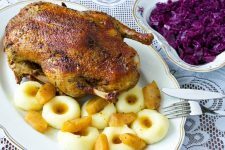 Deep frying does take a certain level of care and attention to get the best results heavymetalkilos, but so do most methods. And there’s nothing wrong with going to your favorite fish ‘n chip shop for when you do want a fry up! 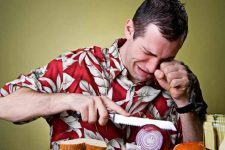 I am indeed embarrassed to admit that I was born and grown up on an island and I have ever really properly learned how to prepare fish and seafood. I love EATING them, but prepping is something I never bothered with. Recently moved back home to be with my family and being fully grown up now, realize how terrible it is that I never bothered to learn. I had a very nice fisherman offer me some tips on ins and outs of picking good fish at the market. Fish cleaned. Now I needed to tackle the daunting task of preparing it. I was so nervous at first. My only experience with fish was watching my mom dump various kinds of fish into a pot with stock to make us some delicious fish soup. Being the chicken I was, I invited a friend over to show me how to. Surprisingly, I took to it, like a fish in the sea (ha). That was a year ago. Now I have no qualms about buying my family and I the freshest available catch and cooking them up various ways. I do like that you have the technique listed here of steaming in a parchment. I imagine that would keep in all the juices and flavors. This is definitely going to be tonight’s dinner. Thank you very much on this informative read. Well, we always seem to learn these things when the time is right for us aquaticneko! And you’re right, cooking in parchment packets is wonderfully juicy, flavorful, and fragrant! Hope you enjoy your dinner! Every Friday is fish day and we get to eat some of our favorite fish dinners. Most of the time it is baked or a tuna salad sandwich….I rarely fry fish. I agree fish is so healthy and light it is good on the wallet and the hips…great tips on achieving a moist fish. Olive oil and garlic butter are just simply marvelous on fish. We do fish Friday too! I am guilty of almost always frying it…. I think your right it’s probably better for health and finances not too eat it deep fried so often. I have En Papillote style at the market before, didn’t realize it was literally in a little packet! Looks easier then I had imagined, figured it was some fancy French style. Lorna cleared that one up for us, I know exactly what’s for dinner this weekend, thanks! Light on the hips and wallet indeed! Glad you enjoyed the tips sheebah7! Great information. We love seafood. 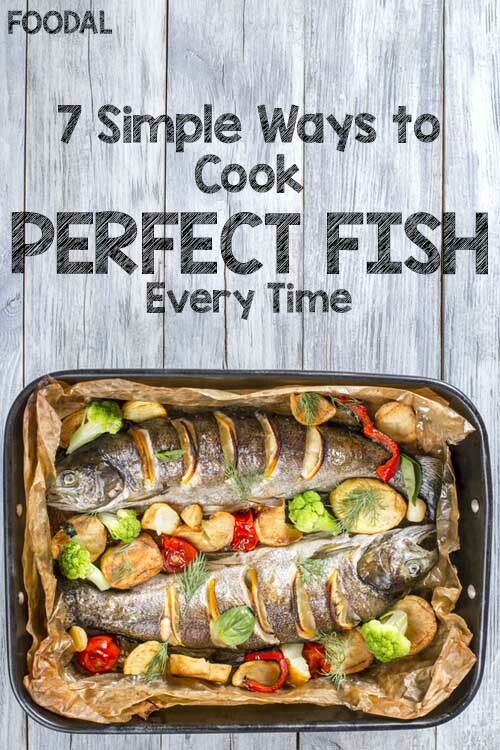 I usually find a specific recipe to use when cooking fish, but with these general guidelines and tips, I should be able to cook any fish without the need of a recipe. I can’t wait to go to the market, pick out a whole one, and try out these methods. Thanks. … and seafood loves you lebrennan! Glad you enjoyed the post, and let us know what kind of results you get. Those a wonderful lessons as fish is not exactly everyone’s favorite, some of the ideas can be implemented especially when yo have picky eaters of fish. Not everyone’s favorite, and if cooked poorly, poor fish doesn’t stand a chance of becoming popular! Glad you enjoyed the ideas HaA. Well, my mom really has to read this, for god sake! This is simply amazing, now my mom will definitely know how to cook the best fish ever. I will buy some fish this weekend so she can make her magic with these tips, thank you for sharing this! You sound like a true fish lover Casiox! Enjoy!